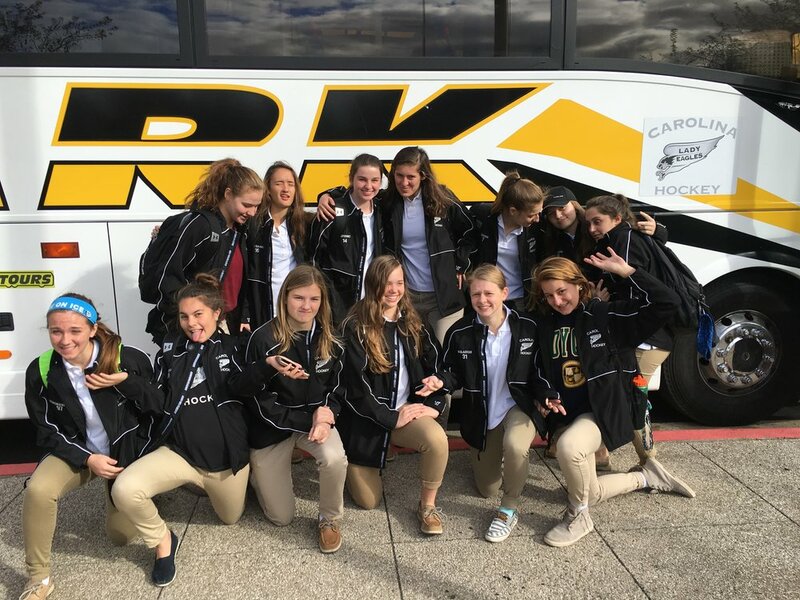 CMM 2018 has been a Staple for the Lady Eagles since the start of the program 3 years ago when 13 players headed on a bus one afternoon rode to Detroit late into the night. That first year was certainly a wake up call as the ladies went 0-3-1 but had a great time. Last year again a bit better going 1-3 and this year 2-2. The tournament did throw some extra obstacles in our way this year with an 8:15 am Game on the first day vs a local team. The game was closer than the score but did loose 3-1, the loan goal by #52 Katie Carlson. Game 2 was a grind as we were still waiting for a few of our freshmen in college players to arrive and lost to the eventual tournament winner The Omaha Lady Lancers. Game 3 was another early game vs a local team the Troy Lady Sting and both goalies were playing their best but a shorthanded goal by #31 Shelby Reaugh was the game winner with #30 Veronica Heyl getting her first start at CCM in three years of coming with a previous team. Game 4 went well for the ladies with a 3-1 win for #42 Naomi Nice in net. Goals from #31 Shelby Reaugh, #37 Lilly Delaney and #24 Kenady Kukowski.